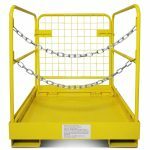 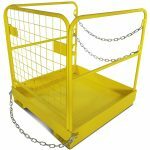 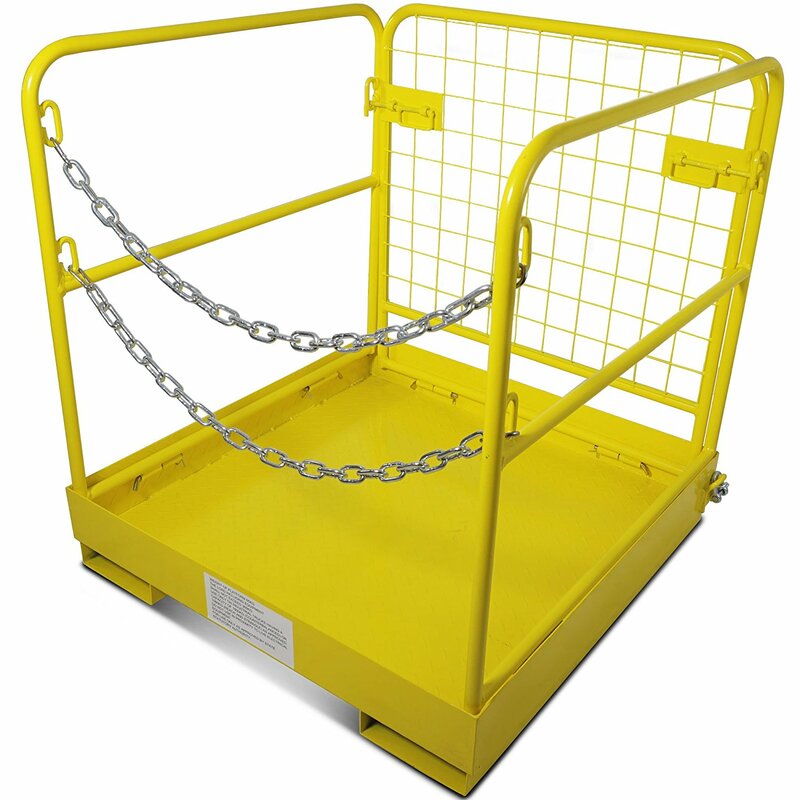 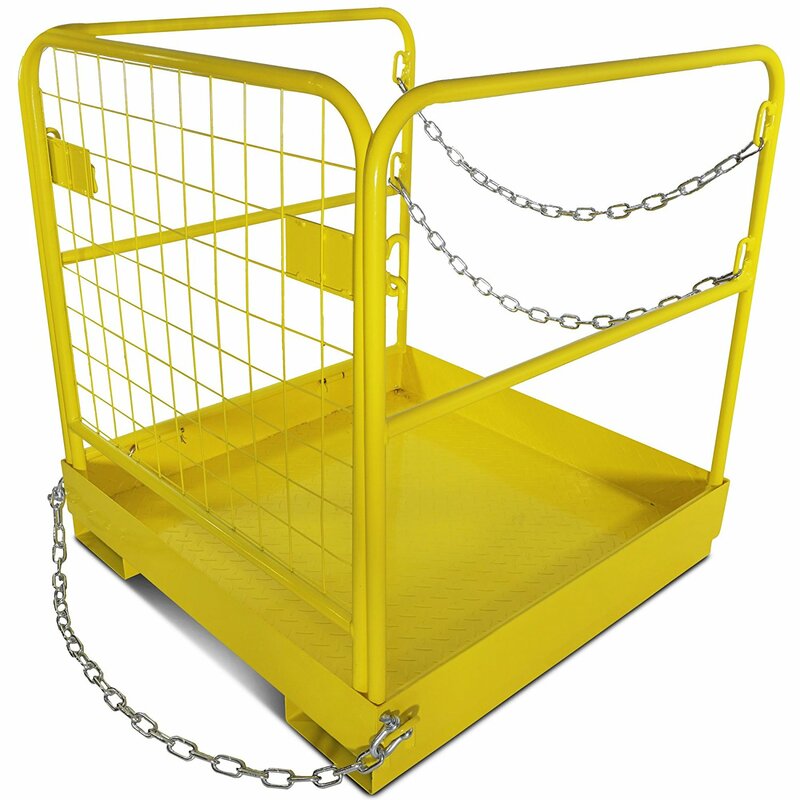 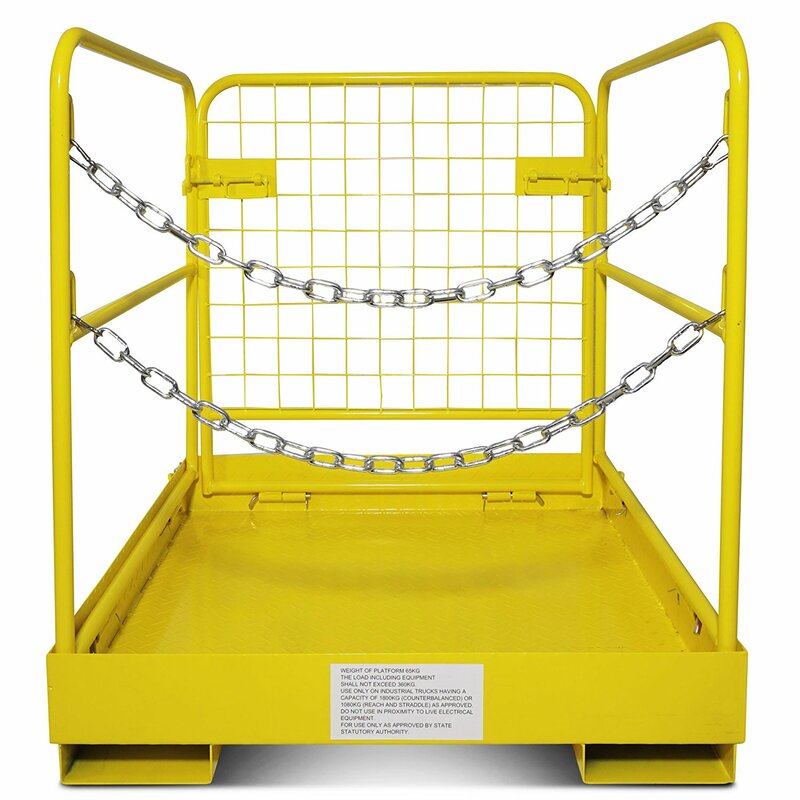 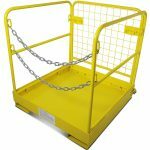 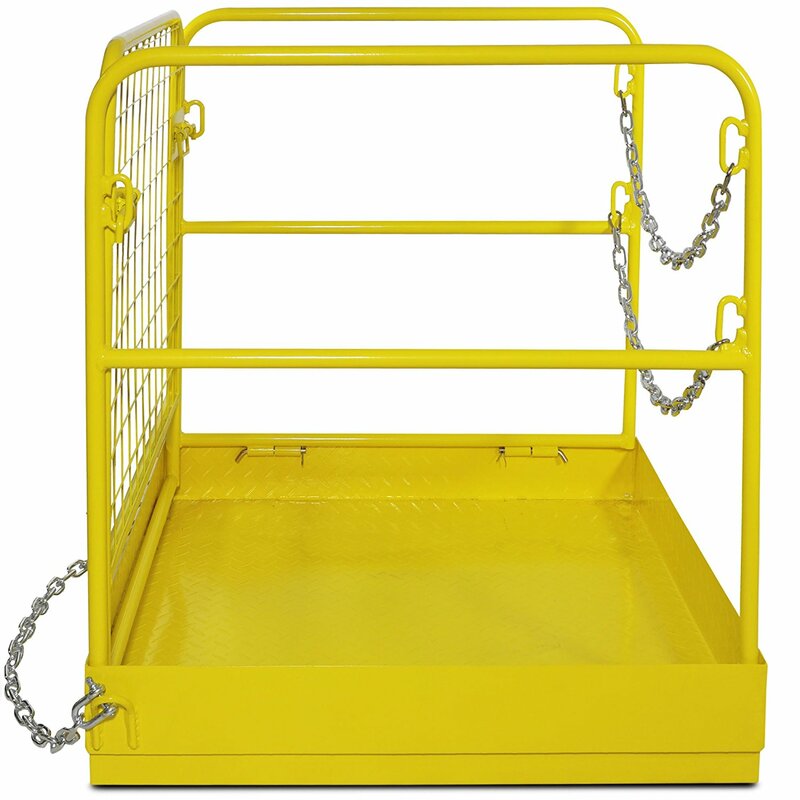 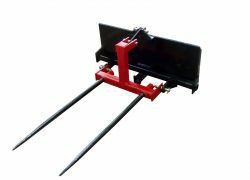 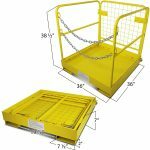 The pallet fork sleeves on the bottom of the platform run the entire 36″ length of the cage and lock in place with pins for maximum security and stability. 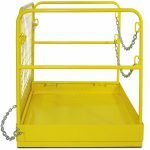 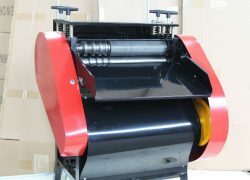 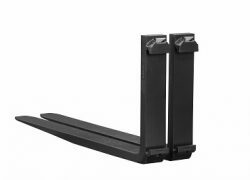 When the job is done, simply slide the inside wall’s locks inward and carefully lower all walls inward to fold the cage down for easy storage. 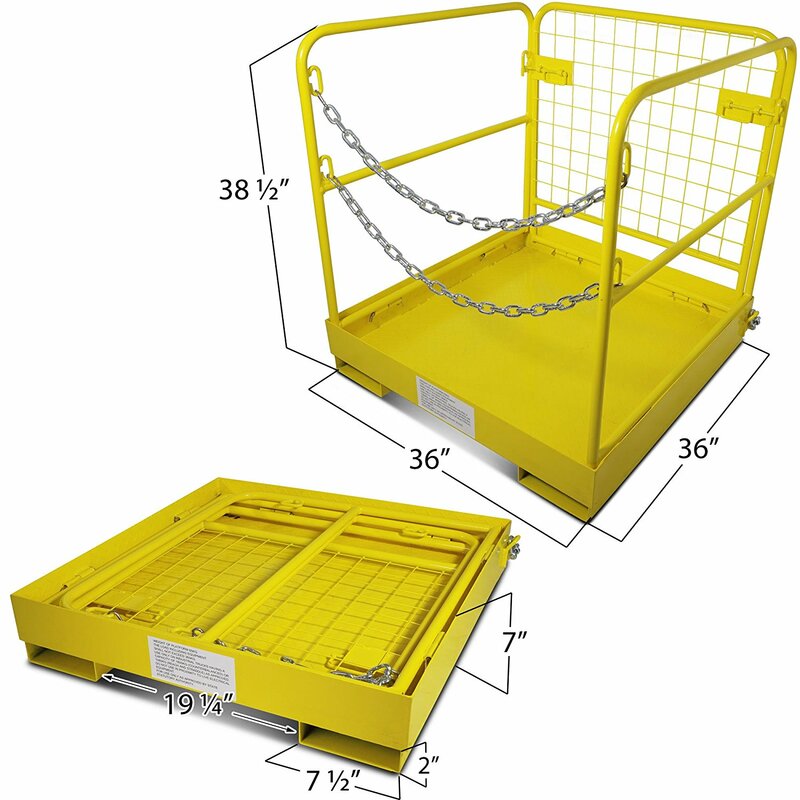 The double chain door makes the platform safer by helping to prevent falls. 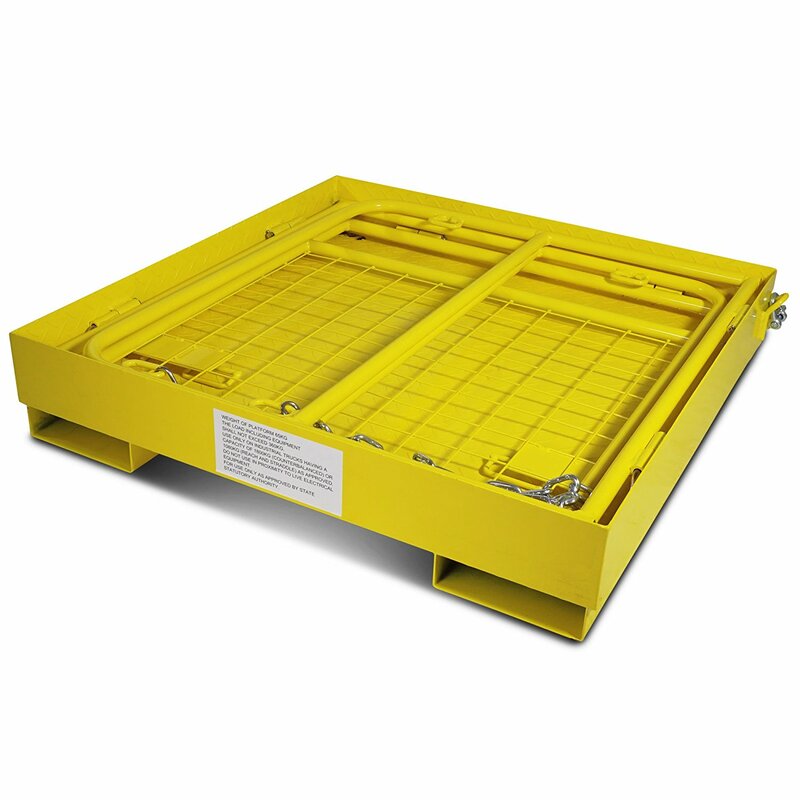 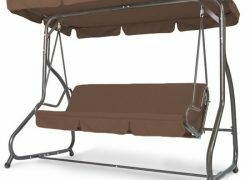 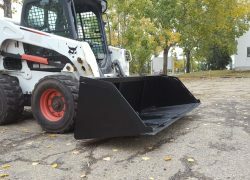 With enough room for one person to move around, this platform is perfect for most aerial jobs like changing lights, painting, roof repair, or tree service. 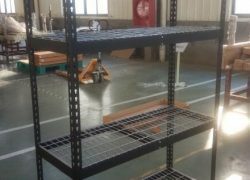 Galvanized finish is perfect for indoor and outdoor use.